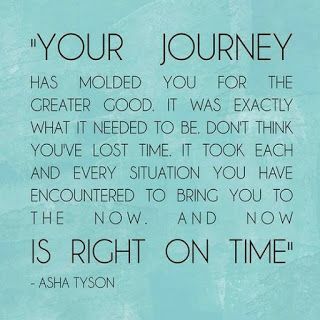 One thing that's so important to remember as we're on this journey is that this is in fact A JOURNEY. It's ongoing, and we need to be making lifestyle changes in order to have a lasting effect on our health. There are no more diets in our world - just clean, whole, healthy foods, portion control and exercise to go with it. Have you struggled in the past with dieting and having it quickly come back once you resumed your normal habits? What is your story about why you got here and why you realized you needed to change your habits, and not just do another fad diet out there? I have. But it wasn't until I finally realized that I eat the things I like in moderation that this lifestyle change really clicked for me! I think it is so important to keep returning to our journey and see where we have come from and how far we have changed. Answer these questions: Where did you start at the beginning of your journey? What have you learned from your journey thus far? And where do you so yourself at the end of your journey?